Sandia Office Supply has the products you need to keep your office coffee flowing! In addition to traditional coffee filters, we also offer K-cups and coffee pods for single serving office coffee machines. 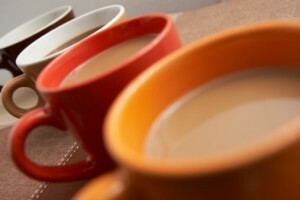 Are you Spending too Much on Office Coffee Service? When we meet with clients about their current office coffee service, we often discover two things: 1) they’re not happy with their coffee services and 2) they’re spending way too much money. At Sandia Office Supply we sit down with you to discover how we can help you provide a great service for your employees without a hefty bill. Make sure you have the right office coffee equipment. One of the ways you can reduce expense is to make sure you have the right office coffee equipment. A cheap machine is often inadequate for commercial needs and means you’ll have to pay to replace it frequently. It could also be unsafe for the business environment. Pods or K-Cups eliminate waste from excess brewing and from brewed coffee becoming stale. Single serving machines also enable you to provide a greater variety of flavors for employees, reducing time lost to coffee runs throughout the day. At Sandia Office Supply, we provide a free cost analysis of coffee services and show you how you can save money by bundling breakroom products. Of course, providing great coffee service for employees is a nice way to let employees know they’re valued. Sandia Office Supply of Albuquerque has the capability to keep your office supplied with a large selection of flavors comparable to a full-service specialty coffee shop to meet the needs of every employee. Contact Sandia Office Supply to learn more about saving money with our office coffee services. Call 505-341-4900 to order your food and office products with Sandia Office Supply of Albuquerque, NM today!